There's nothing better than summer nights and spontaneous moments that make truly special memories. But of course, for the perfect spontaneous moments, you need the perfect beverage in hand! And friends, I'll be honest with you, warm summer days and nights usually leave me reaching for a cool bevvy to kick my feet up with, but as we all know… not all drinks are created equal. Often times drinks that contain alcohol, contain gluten, and most are full of sugar and calories (I'm not a big calorie counter, but hello alcoholic beverages that are on a caloric overload… goodness!). But don't you worry, I have a gluten free, crisp, clean, and refreshing Spiked and Sparkling drink to share with you that will up the ante on your summer beverage game! Truly is a Spiked Sparkling Water. How clean and refreshing does that sound?! It's perfect for drinkers looking for light, refreshing alternatives to beer, cocktails, wine, etc. Only 1g of sugars vs. the regular sugar loaded drinks we usually reach! It's Gluten Free! A must for me and for my guy! Guys like it too!!! See the picture below as it's now what is found in our cooler for a sunset cheers at the end of the day. Only 100 calories— again, I'm not a calorie counter, and don't encourage my clients to calorie count, but so many beverages contain a caloric overload that no hard working body needs. 5% ABV— yes! This is a beverage only for those that are 21+, but such a refreshing one at that! Delicious and refreshing flavors without a ton of added sugars or artificial flavoring. You can add fun garnishes to this Spiked Sparkling Water and craft up fun cocktails… all year long, not just for summer! As the days are longer, the evenings are warmer, and the smell of BBQ is in the air, date nights look a little more like a walk or bike ride to the beach to watch the sun go down. 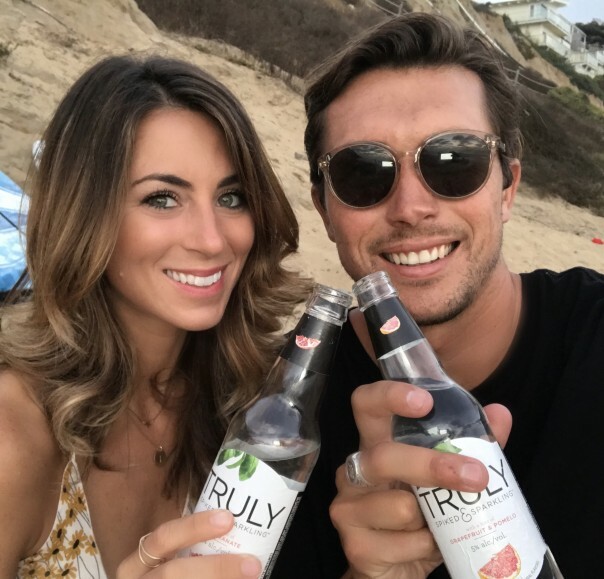 Taylor and I like to bring a beverage as we find a cozy spot on the sand to watch the sunset, and Truly Spiked & Sparkling is fitting perfectly into this routine. And with all of the BBQ's and pool party invites, you're never supposed to show up empty handed (right? 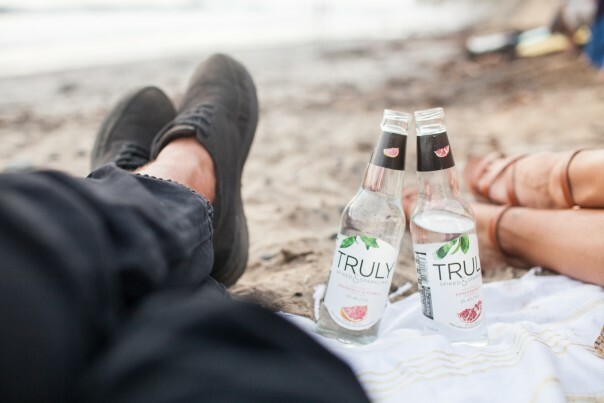 ), so we're now bringing Truly Spiked & Sparkling along with us to ensure a gluten free and clean beverage to enjoy… and of course to share (if we must. haha!). You can find mostly at Target, Kroger stores, Publix, etc. I used the Truly Finder to find where I can get Truly in my area and I found that they're sold at Ralph's, Rite Aid, Von's, Stater Brothers, and even Trader Joe's. Or just simply check out Truly Spiked & Sparkling HERE! 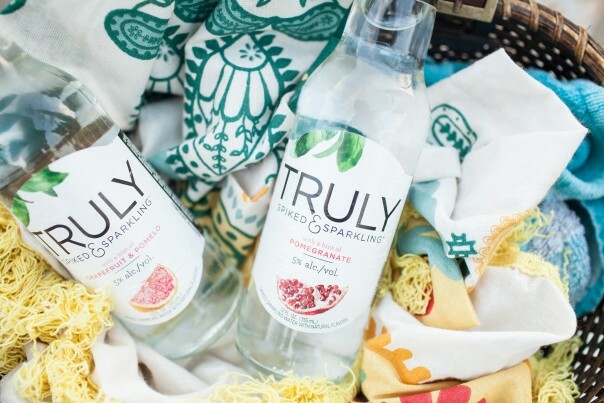 You'll find Truly Spiked & Sparkling in a variety of tasty flavors like Colima Lime, Grapefruit & Pomelo, Pomegranate and a few others. It's hard to pick a favorite flavor, but I seem to keep reaching for the Pomegranate! And it would be so fun to add a few fresh pomegranate seeds to a glass of Truly poured over ice! Truly comes in bottles and in slim cans, and both are perfect to fill an ice chest or ice bin for an adult BBQ or summer gathering. 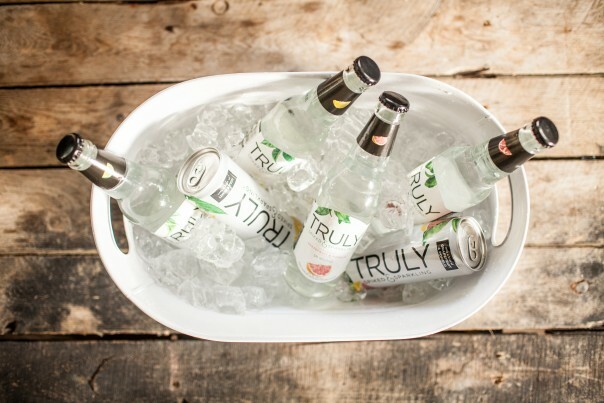 Remember, even though this is a refreshing sparkling water, it is spiked, so this post is only for those that are 21+! Squeeze the flavor out of every moment this summer! CHEERS! 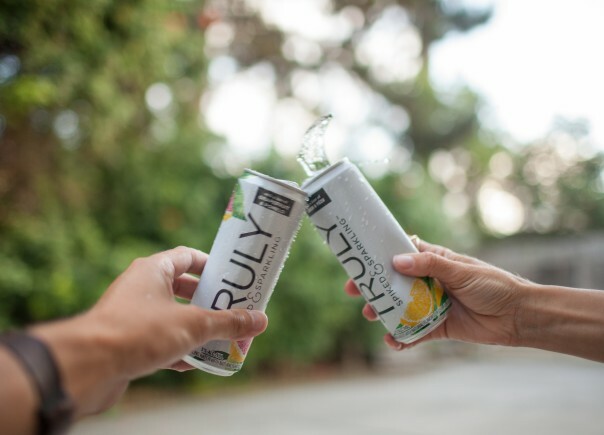 Once you try Truly Spiked & Sparkling, share with me your favorite flavor and how you garnish your Truly in the comments below or on my Instagram!